The Apple Tree with 20 Apples. 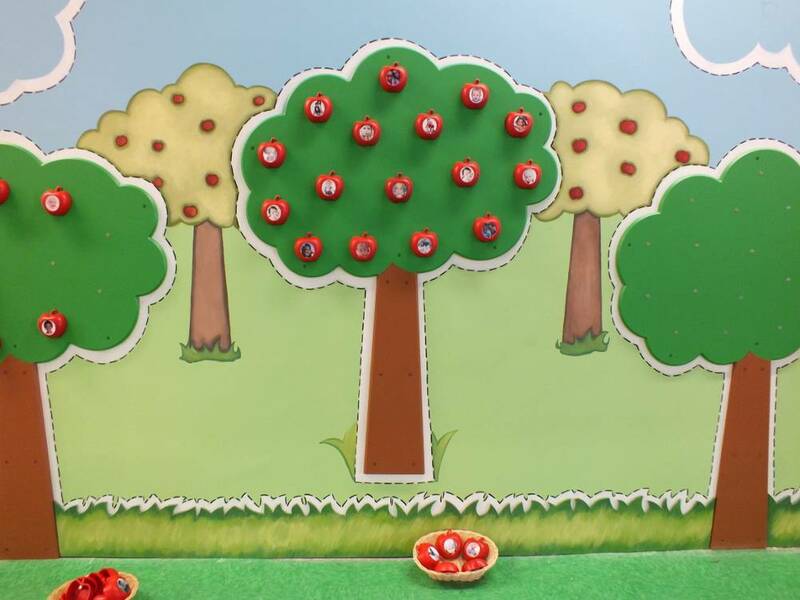 The apple tree is a plastic tree fixed to the wall of which 20 magnetic apples can be picked. (Apple Trees of 12 and 16 apples also available). 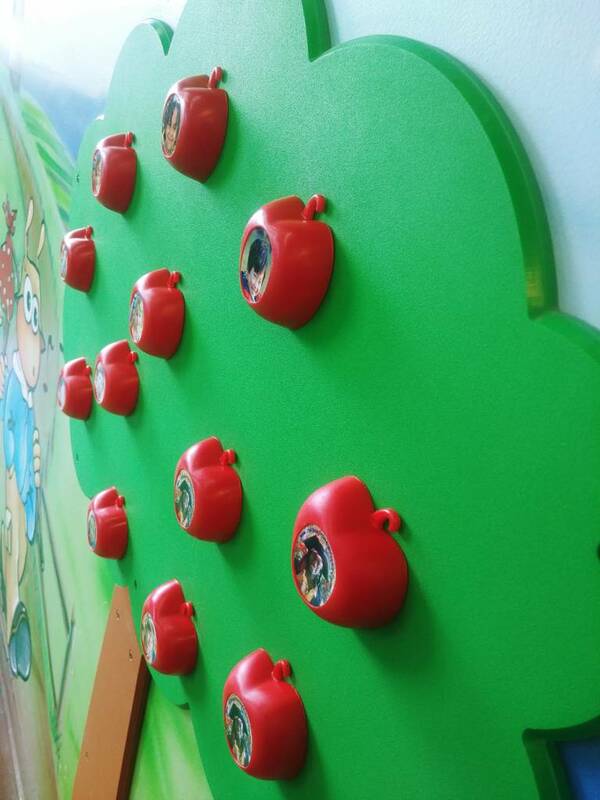 The Apple Tree is 48 inches high and 36 inches wide. It is made from HDPE, a durable and secure material that is easy of maintenance and meets every standard of the industry. The Apple Tree and the apples are very resistant and are practically indestructible. The Apple Tree comes with a 5-year warranty. 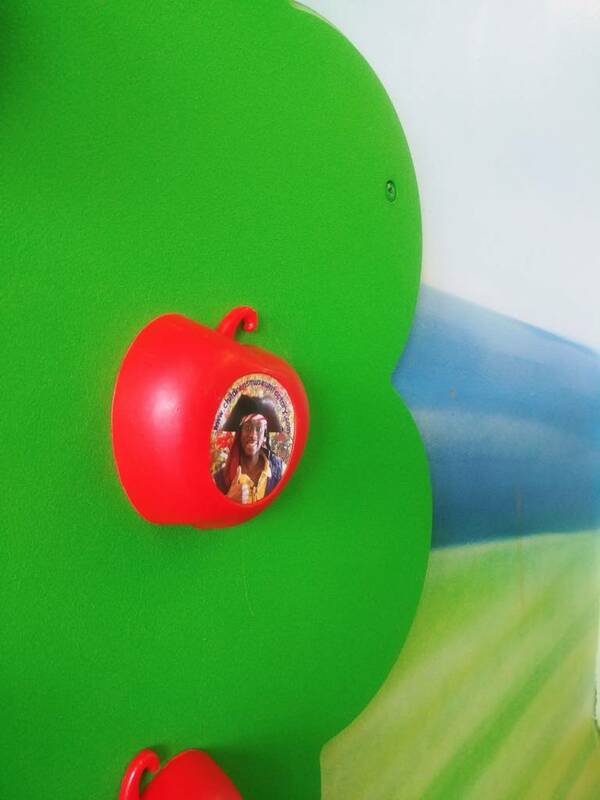 Since the apples are sometimes given as gifts to the kids at the end of the year newly personalized apples can be ordered for the low price of 6$ per apple.